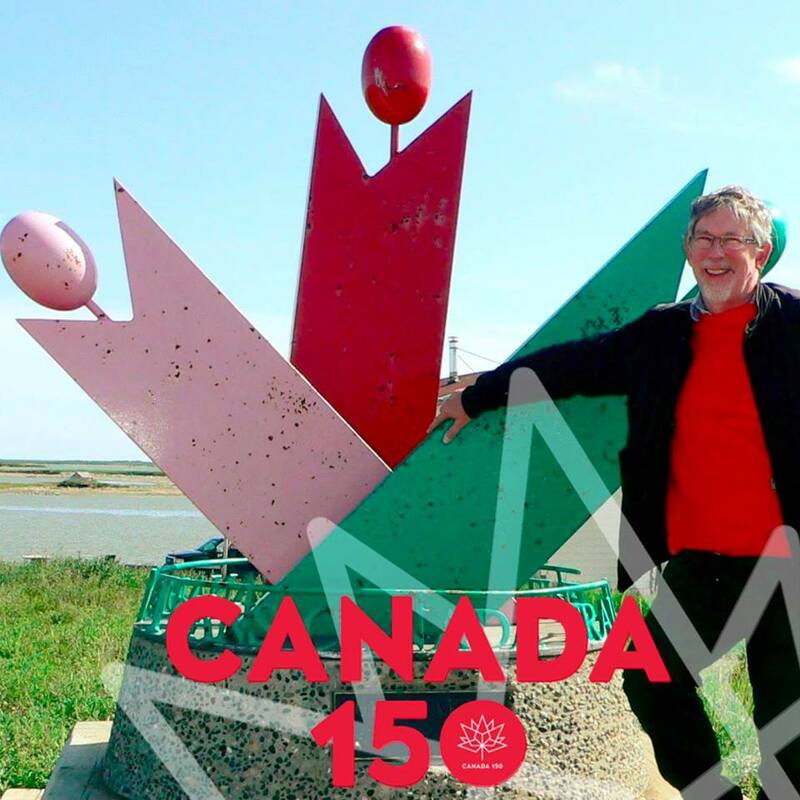 As we approach Canada Day of our 150th year of Confederation, I am compelled to share my personal reflections on where our country is headed, how the lessons of history (positive or negative) are shaping our future journey and the contribution we, as Canadians, can make to our world. Beyond celebration, our nation urgently needs our care and attention. As a result, I am sharing my own journey in the form of a call to action. Over four years ago, I received a call join a group helping to build programs to shape our Canadian sense as a “Smart and Caring Nation”, inspired by His Excellency Governor General David Johnston. My love of our country has been inexorably shaped and enhanced through extended periods of living and working abroad. The opportunity to serve Canada and to collaborate with an unbelievably talented group of leaders, made it a no-brainer for me to accept this call. Since then, in many varied groupings, conversations about Canada and nation-building were convened at Banff Centre for Arts and Creativity, the Deloitte Greenhouse, Wasan Island and more. Although not apparent from the core group shown below, a diverse and impactful group of individual leaders, first nations, national and local institutions, and many change makers from the charitable and NGO sector coalesced to help shape and expand this initiative. I am eternally thankful for the leadership of David Johnston and Community Foundations of Canada, for their leadership in starting these conversations. My investment of time and money has been returned many times over in my own knowledge and engagement. Youth Engagement – Millennials (and now, Generation Z) are the best educated generation of Canadians who are passionate and “issues”-driven, yet often fail to engage with the formal political process. Canada 150 is a great way to harness that energy and enthusiasm to shape our governance for the next generation. Reconciliation with our Indigenous People – Canada has a sad record in our treatment of Indigenous People whose territory European settlers colonized and, without whom, our modern country would not have been built. The December 2015 Truth and Reconciliation Commission Report chaired by Chief Justice Murray Sinclair, painted a shocking portrait of the misguided and brutal “Indian Residential School System” previously almost unknown to most Canadians, even many in the First Nations community. Although Canada’s 150th birthday strikes a dissonant chord for many Indigenous people, it remains a unique opportunity to learn from past mistakes and to start building a better future together. In spite of the challenges raised by celebrating years of neglect and mis-treatment, I can only hope that we can find a way forward to a brighter future for all (Indigenous and non-indigenous) people in Canada. Diversity and Inclusion has become of paramount importance in our increasingly diverse country. Ensuring that everyone “belongs” and can contribute to our common future, is a key priority. Furthermore, we must arrest our growing Inequality before it unleashes the destructive and divisive social forces we see in other countries. Environmental Challenges – for many, particularly the youth, Climate Change and other environmental challenges caused by the impact of humanity on a finite planet, have gone from theoretical to becoming an “existential” crisis threatening our future wellbeing. I continue to work with others to explore ways to address what seems to be an intractable problem, not just at a government policy level but even more importantly at the grassroots level to engage ordinary Canadians. Once these high level priorities were identified, many participants contributed to shaping thinking, leading to great initiatives such as the Alliance 150 to increase collaboration and partnership among organizations. And, as Federal and Provincial governments got onboard, these earlier efforts were foundational, setting the agenda for much of the current governmental and NGO work for Canada’s 150th. 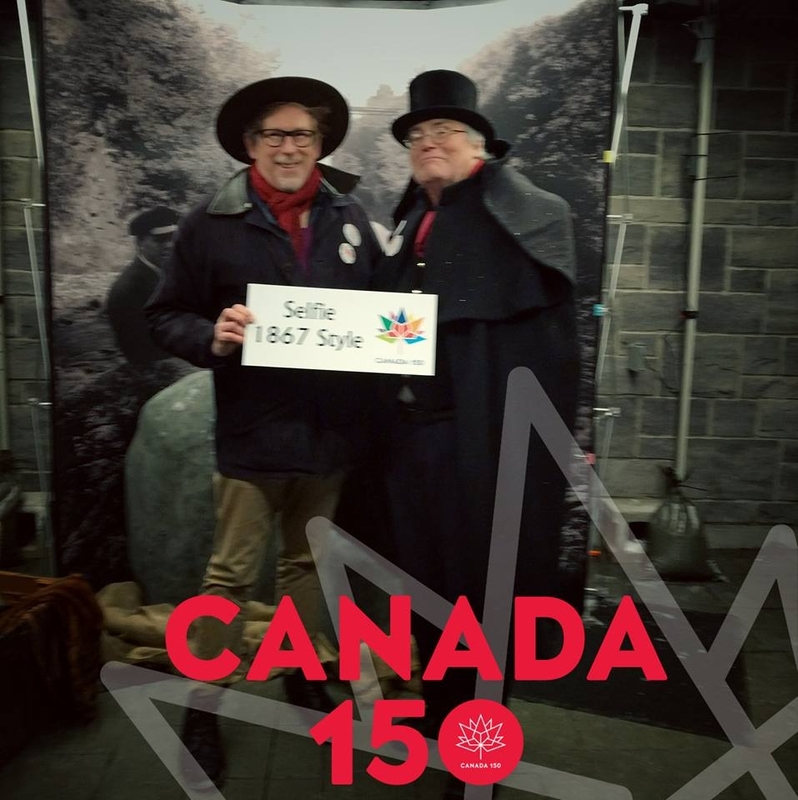 As we closed in on 2017, I channelled my focus to advising a number of national Canada 150 Signature Initiatives, such as Canada C3 and Canada 150 in our local communities, that directly descends from those early conversations. As an Ambassador for the Canada C3 expedition, I am excited to see this project’s ambitions surpassed on all its major themes of Reconciliation, Youth Engagement, Inclusion & Diversity and Environmental Stewardship. 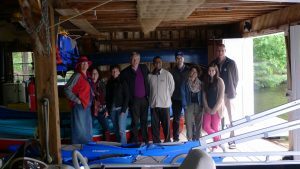 Watch this nation building exercise grow during the Expedition as it reaches the majority of Canadians. I will use my time on Leg 7 of Canada C3, later this summer, to learn, engage and reflect collaboratively regarding our major Canadian challenges and opportunities. What started with a request for me to make a gift of time and money, ended up as truly a life-changing gift back to me, and all those involved. People around the world look to Canada as a bastion of democracy, decency and safety, buttressed by our reputation for being obsessively obsequious and our pioneering of international peacekeeping. As times change, our national role and aspirations also need to change. Just as we are no longer the extension to Victorian Great Britain of a 100 years ago, our post World War II Cold War era identity also needs to be re-imagined. What will Canada look like for our bicentennial in 2067? 2017 represents a unique and timely opportunity for us to all participate in shaping our common future. Canada seems to be such a safe and peaceful country. Yet, present and historical events show that the veneer of civil society that we all hold dear and take for granted, can be fragile indeed. I am still struck by a story told by that master story teller, David Johnston. He reflected on The Ukrainian Pioneer, a 6 panel masterpiece by Canadian artist William Kurelek. Reflecting a life journey familiar to so many Canadians, the work chronicles a Ukrainian villager fleeing Josef Stalin’s genocidal famine of 1932-1933 (Holomodor) [See No. 1] who comes to forge a new life amid the relative tranquility and plenty of the Canadian prairies. However, barely visible in the background of the last idyllic panel The Ukrainian Pioneer, No. 6 (1976) is a mushroom cloud. Kurelek wanted to remind us that the veneer of civil society is thin and needs constant care and protection. In 2017, man y forces threaten the comfortable status quo that we expect from Canadian society. Those who are privileged to lead, indeed everyone, must take these forces seriously. Mass alienation and discontent with our current civil order represents a real cry for change. However, many times those grasping for change latch onto leaders whose seductive rhetoric proves ultimately destructive of the enviable civil society we have built over 150 years here in Canada. “Ask not what your country can do for you. Ask what you can do for your country. a shift in political discourse from a “narrative of hope”, to one that lacks civility, grace or higher purpose. The more I travel and engage with global thought leaders, I learn that Canada is becoming the last bastion of a better way in the world. As a result, I believe those key Canada 150 themes of Reconciliation; Inclusion; Youth Engagement and Environmental Stewardship have escalated in importance from nice to have to social imperatives. Besides being amongst the most fulfilling work you will do in your life, your civic engagement will continue to help shape and grow the wonderful social and cultural fabric of this wonderful country we call Canada. What is your gift to Canada? Are you prepared to do your part?